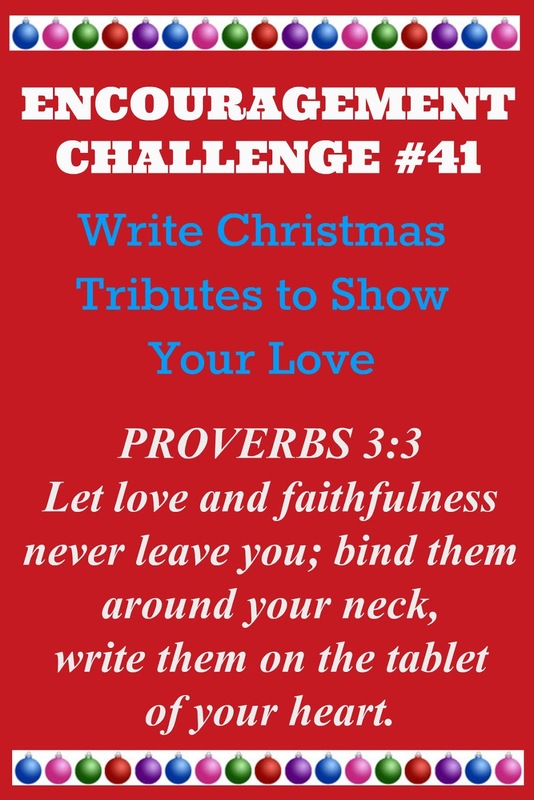 The Christmas season is upon us, so I have an idea I would like to share with you - a gift you can give to someone you love, and it won't cost you anything except a little of your time. He won't know how many teardrops you have shed. For he cannot read his tombstone when he's dead. 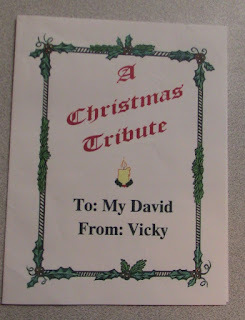 On the same year I found that poem, I used the idea and took the opportunity to make homemade cards for some of my family. 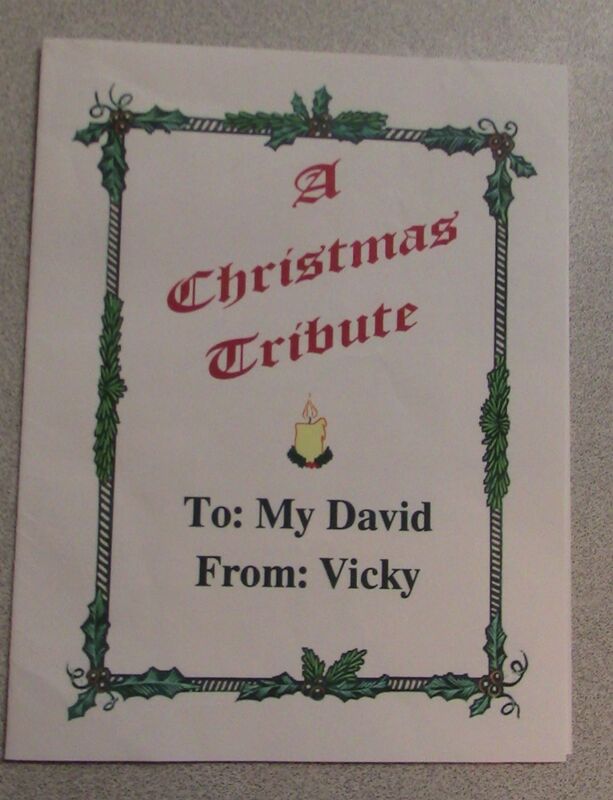 On the front of the card, I typed: A CHRISTMAS TRIBUTE, along with the person's name I gave it to. Grandma – You are one of the most amazing people I know, and I look up to you. I admire your inner strength, your faith in God, and your unselfish acts of kindness. You are compassionate and caring, you have a good sense of humor, and you are someone I know I can trust. I am so proud to have you for my Grandma. Thank you for everything you have done for us. You are a very special lady, and I love you very much. 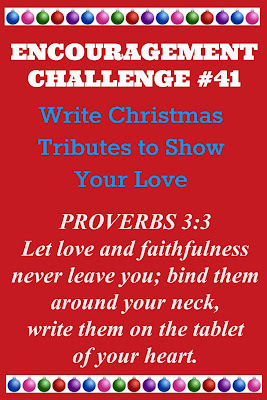 For this week's ENCOURAGEMENT CHALLENGE, work on making these special tributes for your loved ones. Give them away for Christmas this year. I promise, they will be treasured keepsakes.